This fascinating exhibition highlights the careers of these talented women of horticulture, who over the last 100 years, have left an enduring legacy as educators, scientists, artists, writers and gardeners. The exhibition includes the current RHS Director General Sue Biggs. 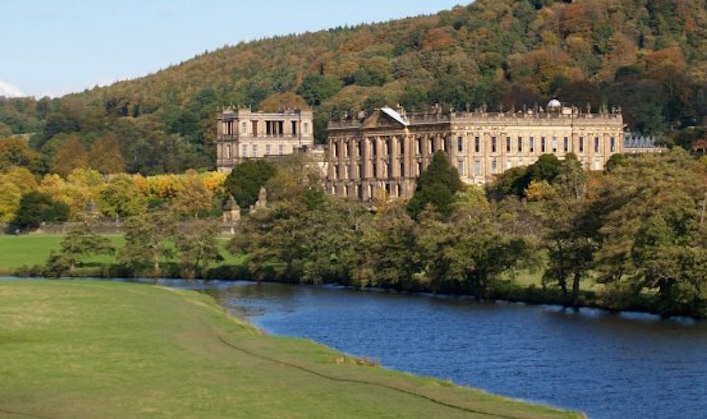 RHS Chatsworth 2017 tickets now on sale! In 1820 a man called Patrick Brontë took on the position of curate in the village of Haworth in Yorkshire. He moved to the house (which had been built in 1779) with his wife Maria, and their children Maria, Elizabeth, Charlotte, Patrick, Emily and the newly born Anne. Less than a year and a half after the move, Maria Brontë died, leaving her grieving husband to cope with six small children. Her sister Elizabeth Branwell had come up from Cornwall to help with the nursing of the invalid – she stayed on in Haworth for the rest of her life to assist in bringing up her nieces and nephew. In 1825 there was more tragedy for the family, when Maria and Elizabeth died within weeks of each other from TB. 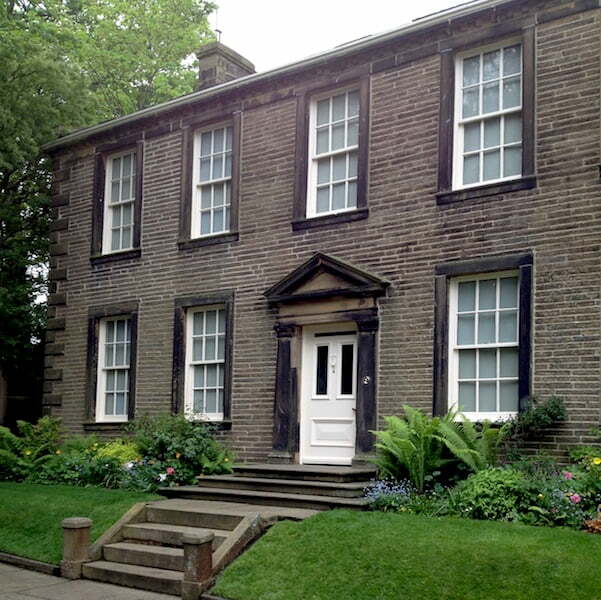 Haworth Parsonage was to be the home of the remaining members of the family for the rest of their lives. There were times spent away from home – when the girls took on jobs as governesses, when Charlotte and Emily went to Brussels to further their own educations, and when Branwell found work as a tutor or a railway clerk, but it was the parsonage that was always ‘home’, a much loved spot on the edge of their beloved moors. The windows of the house look onto the graveyard and church, and just outside the garden walls is a path leading up onto Haworth Moor. 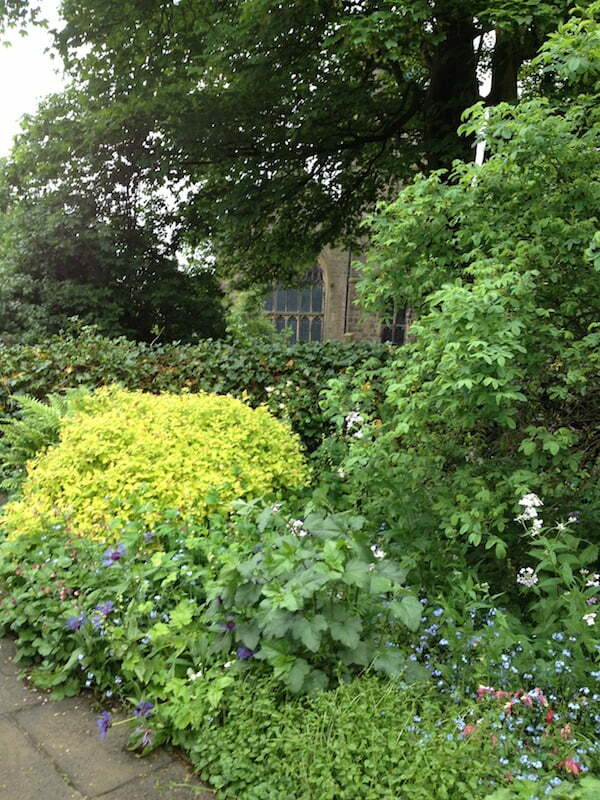 The Brontës were not rich and so needed to be practical about what grew in their garden at Haworth. Blackcurrant bushes provided fruit for pies and preserves. Under the windows was a small flower border with hardy plants such as lilacs and elder bushes growing there. A gravel walk went through the garden, which Mr Brontë refused to have paved as he was certain it would be more slippery in frosts. Emily was the sister most interested in the garden – she regarded the blackcurrant bushes as her property, and was grateful when Charlotte’s friend Ellen Nussey sent her seeds for crimson cornflowers and Sicilian peas. Charlotte loved painting flowers, but seems to have had little interest in trying to grow any. She also seems to have disapproved of “highly cultivated” gardens. 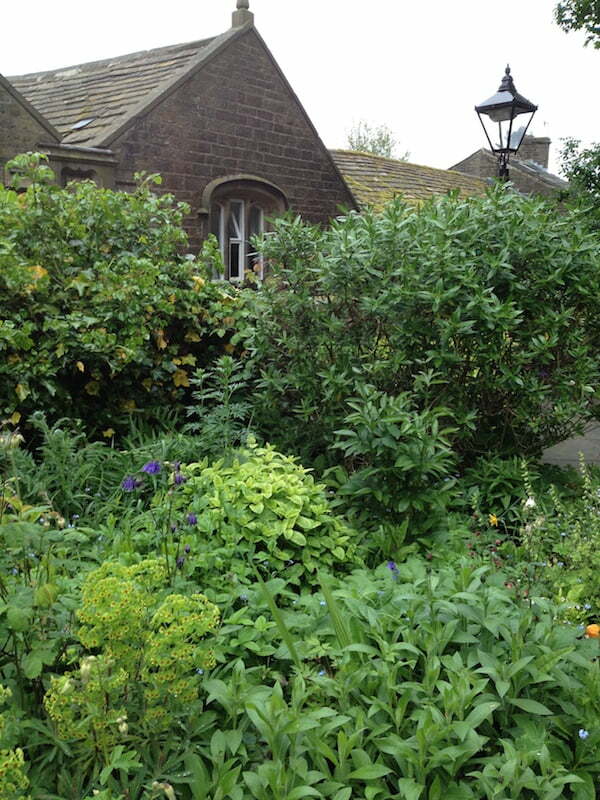 So the Haworth parsonage had a simple garden, consisting mainly of the “square grassed plot” described by Elizabeth Gaskell in her biography of Charlotte. 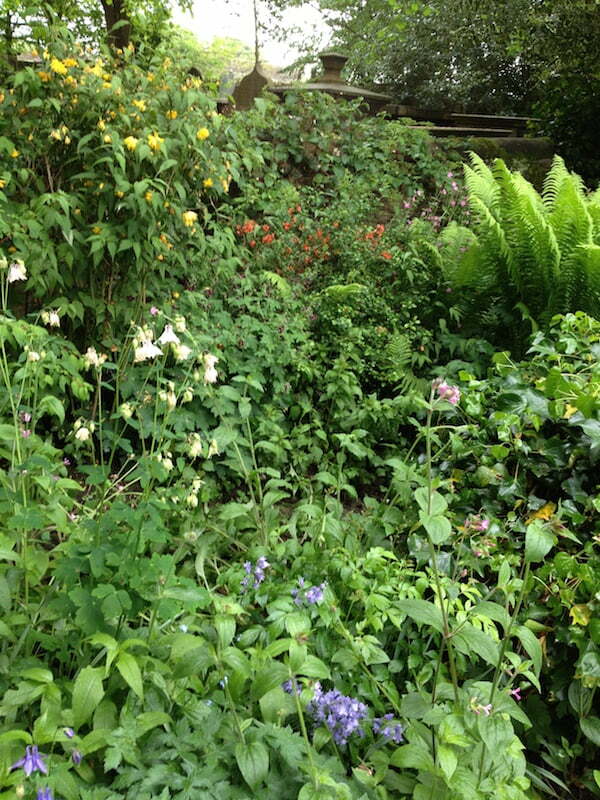 Their love of plants comes through more strongly in the novels that it did in the real life garden – primroses, rose-briar, lavender, lilac, mosses, ferns, bay trees, heather, box, hawthorn, honeysuckle, daisies, bluebells, thrift, snowdrops and roses are all plants mentioned in their works. 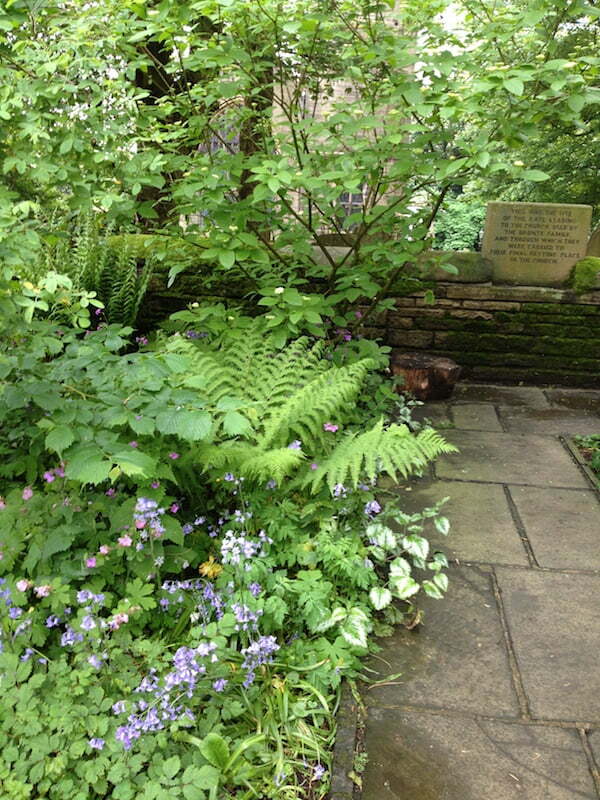 Today the garden at Haworth still needs to be ‘hardy’. Thousands of visitors pass through it each year. 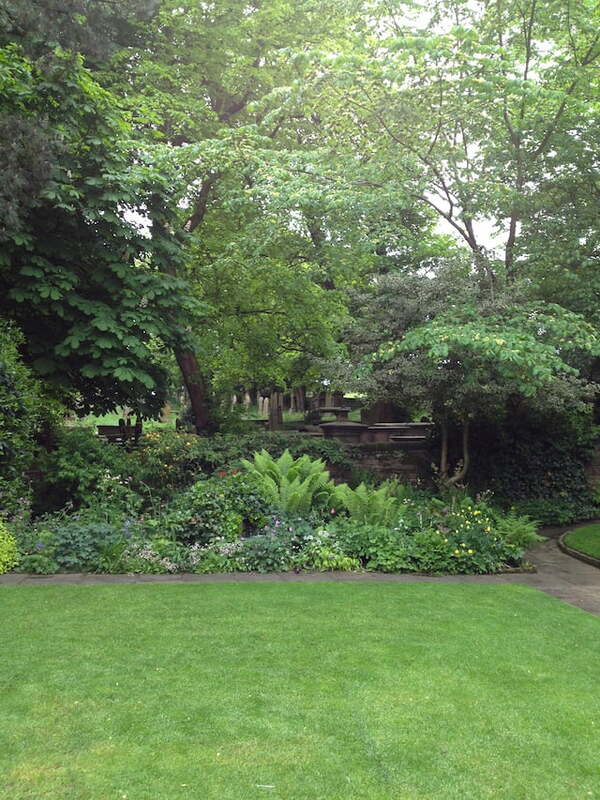 The front garden remains modest, with shrubs and plants that would have been familiar to the sisters. On either side of the gate leading to the church are two pine trees, said to have been planted by Charlotte and her husband Arthur Bell Nicholls just after they returned from their honeymoon. A plaque records the fact that this is the gate passed through by Emily and Charlotte on their last sad journey, from home to burial in the Haworth church. In the back garden is a bronze statue of the famous sisters created by Jocelyn Horner. 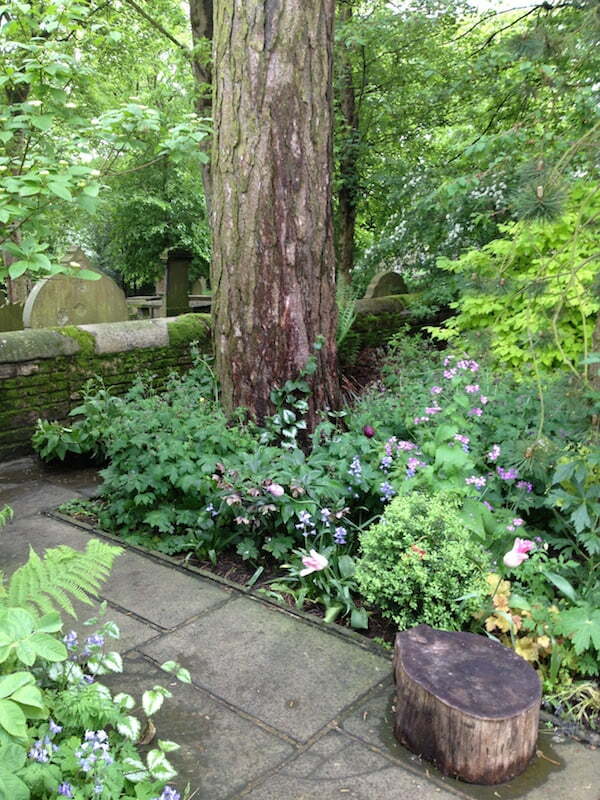 In 2012 a garden inspired by the Brontës and their Yorkshire landscape was entered in the Chelsea Flower Show. It won a gold medal!